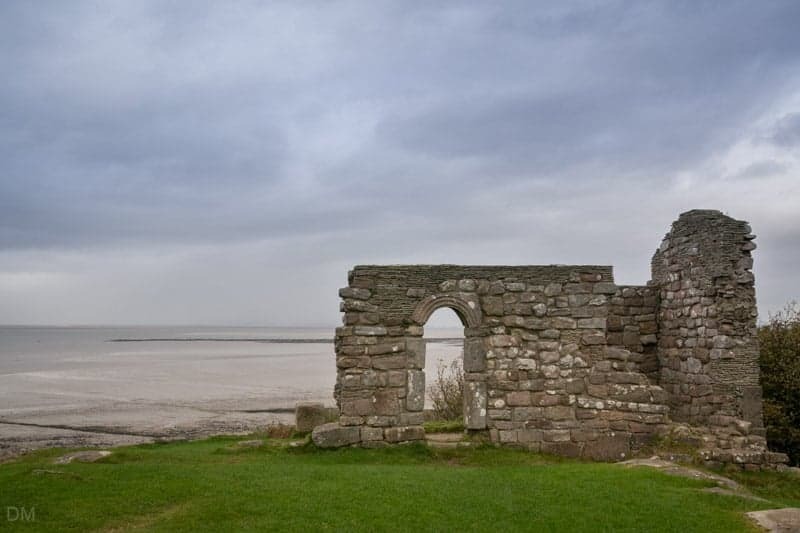 The ruins of St Patrick’s Chapel stand on exposed cliff tops at Heysham. 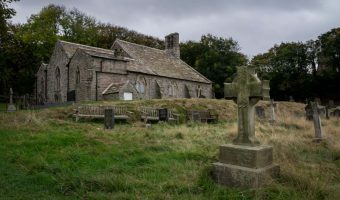 The chapel is thought to date back to the eighth century and is one of the oldest religious buildings in North West England. There are two sets of graves near the chapel, each hewn out of solid rock. One group of six graves lies to the west of the chapel while the other, a set of two, can be found on the south-eastern side. Most of the graves have sockets at the head, believed to be for the shafts of wooden crosses. The graves are unique. There is nothing else like them in the country. The bodies and grave coverings have long since disappeared. Consequently, putting a precise date on them by comparing to similar graves or carbon dating the remains is impossible. It is generally accepted they predate the Norman Conquest of 1066. Excavation work, undertaken in the 1970s, revealed further burial sites around the chapel. Many remains were found, including the skeleton of a woman with a Viking-era cow bone comb laid beside it. Despite detailed research and excavations, academics are still uncertain of the exact purpose of the chapel. It doesn’t appear have been built as part of a monastery, so could possibly have been part of a private estate. The nearby presence of St Peter’s Church, a structure of a similar age, adds further perplexity to the question. St Patrick’s Chapel is a Scheduled Ancient Monument and Grade I listed building. Entrance is free. Access to the chapel is from Main Street in centre of Heysham. Owners of satellite navigation systems can use the postcode for St Peter’s Church (LA3 2RN) to find it. There are a couple of parking spaces on Main Street, near the approach road to St Patrick’s Chapel and St Peter’s Church. Parking is free but stays are limited to one hour between June and September. 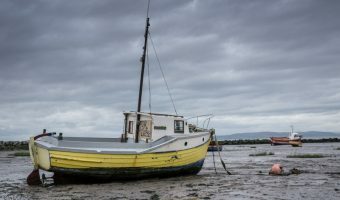 Lancaster City Council operate the Heysham Village Car Park. 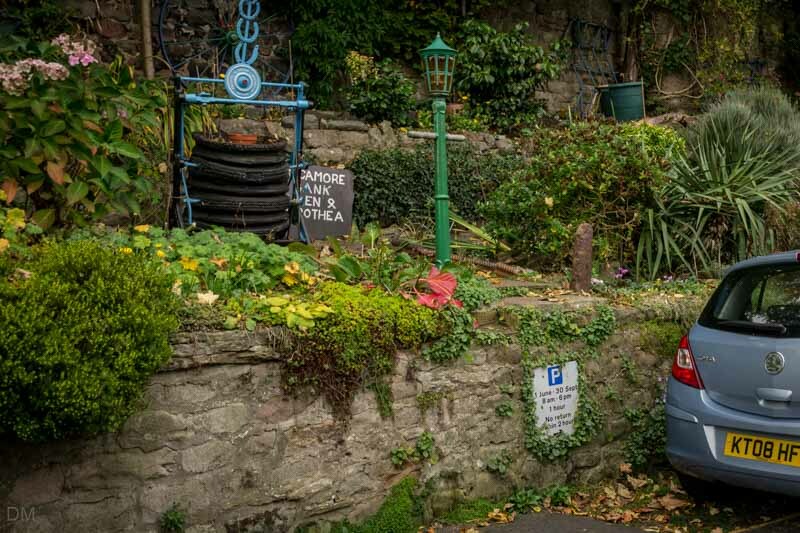 It’s located on Barrows Lane, near the southern end of Main Street and just a few hundred yards from the chapel. Parking fees apply but are fairly cheap. The larger set of stone graves features on cover of The Best of Black Sabbath, an unofficial compilation album of Black Sabbath songs released in 2000. 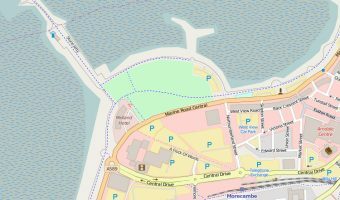 Map showing location of St Patrick’s Chapel. Fantastic place. I always take visitors to Lancaster to it. I’ve always loved it here. We have taken lots of people to see this chapel. It really is fascinating. My boyfriend (Patrick) and I visited this site on our visit to England in July with my dad. We spent hours here and took several photos. I can’t even explain in words about the history and buildings. We so enjoyed it and we will definitely be back..
Not a lot of people know this, but the Stone Graves at St Patricks Chapel feature on the cover of a Black Sabbath/Ozzy Osbourne compilation album. Visited today. 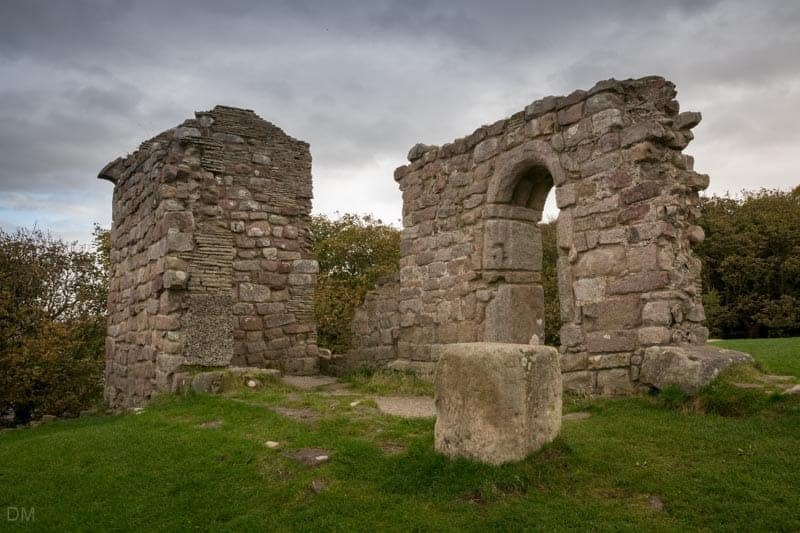 This is part of our heritage and well worth a visit to the chapel and to take in the breathtaking views of Morecambe Bay. Just visited St Patrick’s Chapel today. 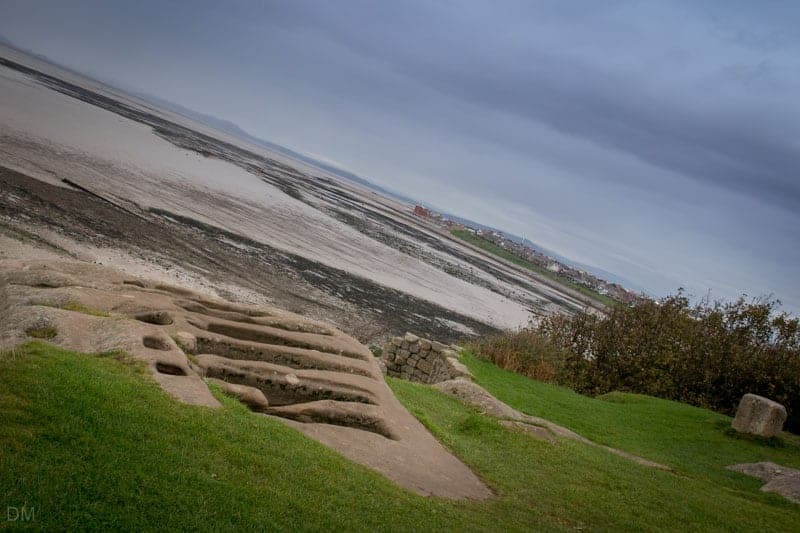 Great views – worth the walk over from Morecambe. Historic church dating back to the eighth century.